We all want to be the best versions of ourselves, that’s why it’s important to take advantage of the nutrition in superfoods and keep up with your regular workout sessions. Filling up on nutrient-packed goodness allows you to be more energetic throughout the day, more productive and focused, and even helps you fight off disease. Rich in omega-3 fats, this fish is ideal for your heart health, not to mention your brain and eyes. At 36 grams of protein per 5 ounces cooked, salmon is a fantastic source of protein. Whether it’s grilled, broiled, roasted or smoked, this cold-water fish is delicious for breakfast, lunch and dinner. 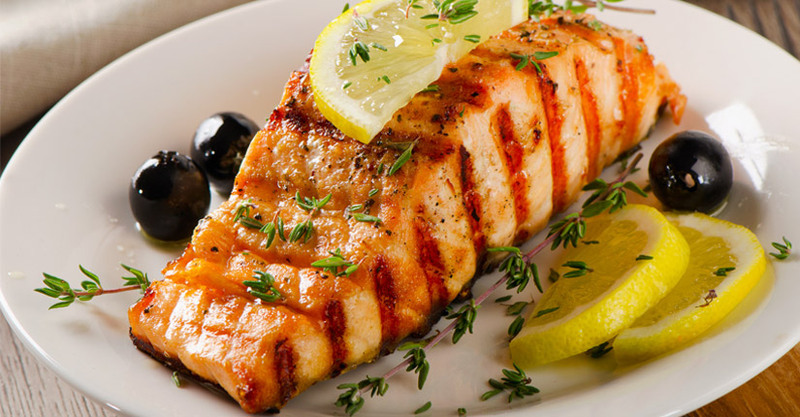 Salmon is an excellent source of vitamin B12, vitamin D and selenium, as well as vitamin B6. Several recent studies found that salmon has small bioactive protein molecules that may provide support for joint cartilage, insulin effectiveness and control of inflammation in the digestive tract. The best part is that it’s so versatile, there’s literally hundreds of recipes to make with salmon, like honey-soy grilled salmon, salmon cakes, scrambled eggs with smoked salmon and many more. For the days you don’t have time to cook salmon, choose a protein source that’s convenient but still packs a great amount of actual protein. The BEST PROTEIN BAR™ from BPI Sports is a great on-the-go alternative, packing 20 grams of protein per serving. You have four delicious flavors to choose from including S’mores and Cinnamon Crunch. And don’t worry, you don’t risk breaking your jaw biting into it. It’s soft, chewy and really nutritious. No maltodextrin, corn fiber or other nonsense fillers. This sweet fruit has the highest antioxidant capacities among all fruits and vegetables, which optimizes health by helping fight free radicals that can damage cellular structures and DNA. Blueberries are a great source of vitamin C, calcium, iron, magnesium, zinc, vitamin K and fiber. The tiny blue superfood is ideal for healthy skin, bones, hair, weight loss and your immune function, too. Many studies have promoted blueberries’ health benefits including decreased risks of obesity, inflammation, diabetes, heart disease and overall mortality. Just one cup of blueberries provides 24% of your daily need for vitamin C.
Green peas (or garden peas) are sweet, crunchy and have a great starch-like texture. They’re a great source of vitamin K, manganese, dietary fiber, vitamin B1 and B6, niacin, iron phosphorus, folate and so much more good stuff. The green little guys have antioxidant and anti-inflammatory health benefits, lowering the risk of type 2 diabetes, heart disease and arthritis. The starchy legume also regulates the pace of digestion as well as the breakdown of starches into sugars, which regulates blood sugar levels. This superfood is delicious in so many dishes like casseroles and soups. 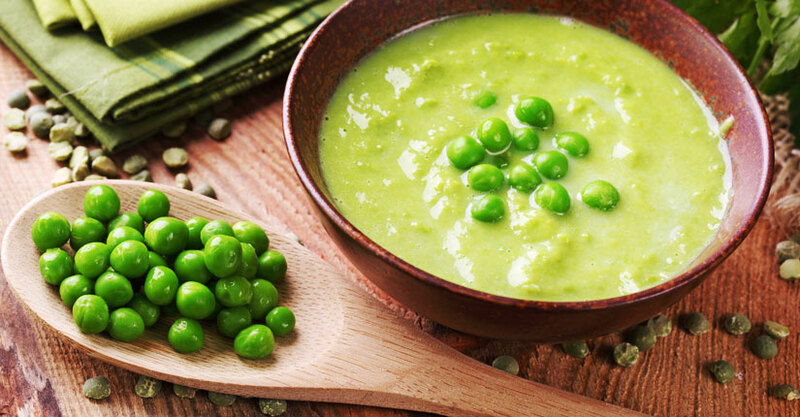 When buying fresh green peas instead of the frozen kind, look for firm, velvety and smooth pods with a lively medium green color. Avoid the ones that have a yellowish or whitish tint to them. Also, don’t select puffy pods or water-soaked ones. A staple in Italian cuisine, olive oil is typically associated with a reduced risk of cardiovascular disease, cancer and improved brain health. Replacing saturated fats like butter with this superfood may help reduce risk of coronary heart disease. Olive oil is delicious in pasta dishes, salads, soups, on roasted vegetables and so much more, even baking. The phytonutrient in olive oil, oleocanthal, mimics the effects of ibuprofen, reducing inflammation, which can reduce the risk of breast cancer. A study published in the scientific journal Diabetes Care showed a Mediterranean-style diet rich in olive oil reduced the risk of type 2 diabetes by nearly 50% compared to a low-fat diet. This superfood is known for its powers against digestive issues thanks to its phenolic compounds and anti-inflammatory properties. Ginger fights off nausea, loss of appetite, motion sickness and even pain. It’s a great source of potassium, magnesium and folate. If you work out regularly, make ginger part of your culinary masterpieces to decrease muscle soreness. A study carried out by the University of Georgia found that daily ginger supplementation reduced exercise-induced muscle pain by 25%. Ginger is great in Asian-inspired dishes, in tea, smoothies, with meats, noodles and more.